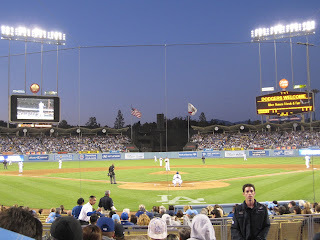 I decided on Thursday night to go to LA. After finding a really inexpensive fare on Orbitz, I was ready to go. Lucky for me, I have someone in LA that wanted to do the same things I did over the weekend, so I was in business. 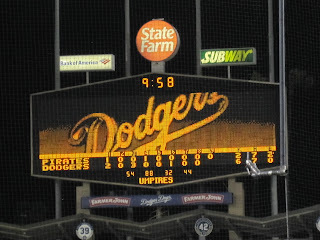 On Thursday night, he and I looked at tickets for the Pirates v Dodgers game... Stubhub to the rescue! We had excellent seats and a parking pass. **** Getting the tickets ahead of time was a good plan, since I didn't see a single scalper. 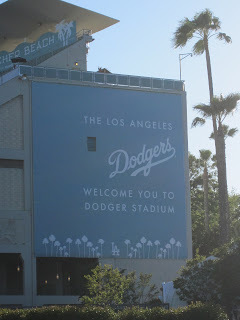 I'd never been to Dodgers Stadium. It was my 65th venue, and I could not have dreamt of a better time. 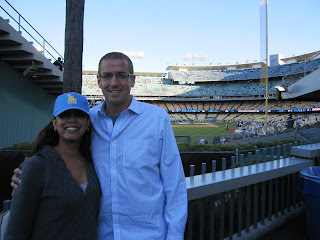 Upon arriving to the ballpark, we were given free LA Dodgers hats in UCLA colors. Random. 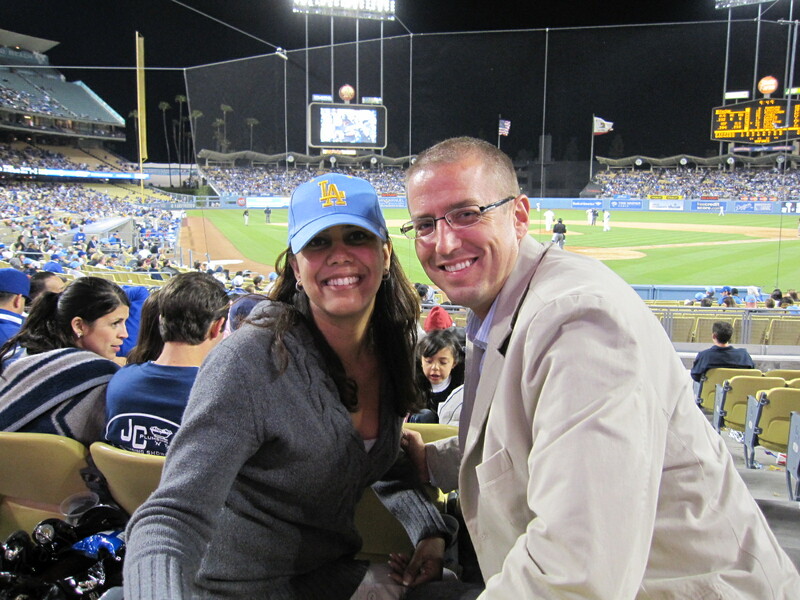 Turns out it the Dodgers are trying to "partner with" or associate themselves with UCLA or something like that, because there were plenty of UCLA tie-ins throughout the night. As we walked around the concourse to our seats, Scott (i.e. who I've known since I was 6 years old, in 2nd grade!!!) 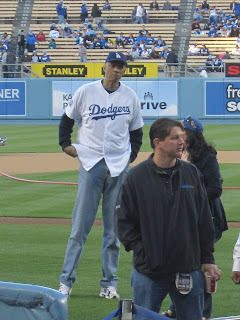 said, "Look, there's Kareem Abdul-Jabbar." What?!?! How random was that? I thought he was kidding, but sure enough Kareem was down on the field. 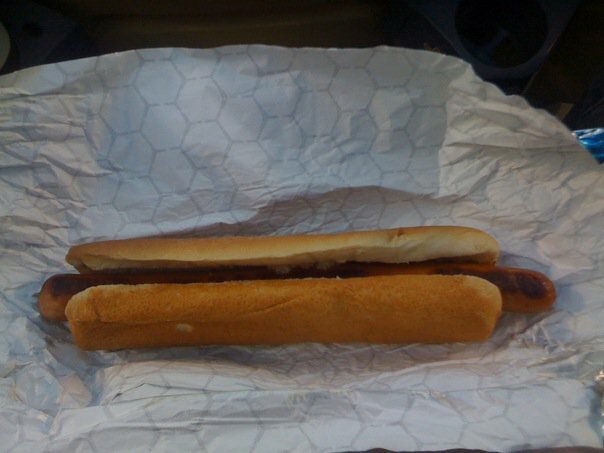 For those of you that don't read this blog (i.e. shame on YOU!) and don't keep up, you should know that I love the old school Lakers. Plus, I'm a huge Kareem fan. **** I once skipped a day of medical school to go to the local MC Sporting Goods to get Kareem's autograph. It was worth it. I even drug my friend, Brian, with me ~ but honestly he needed little convincing. 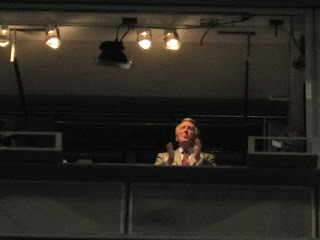 Scott and I had excellent seats (i.e. 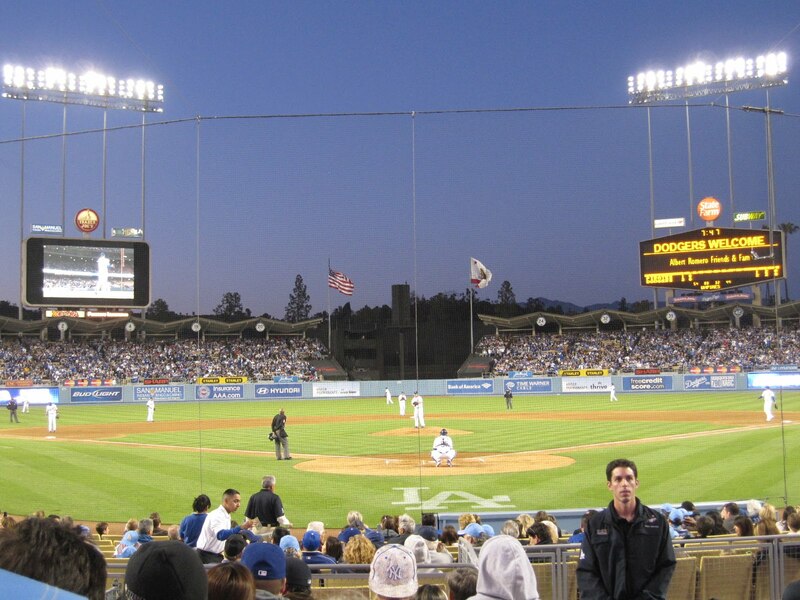 right behind home plate, row H). 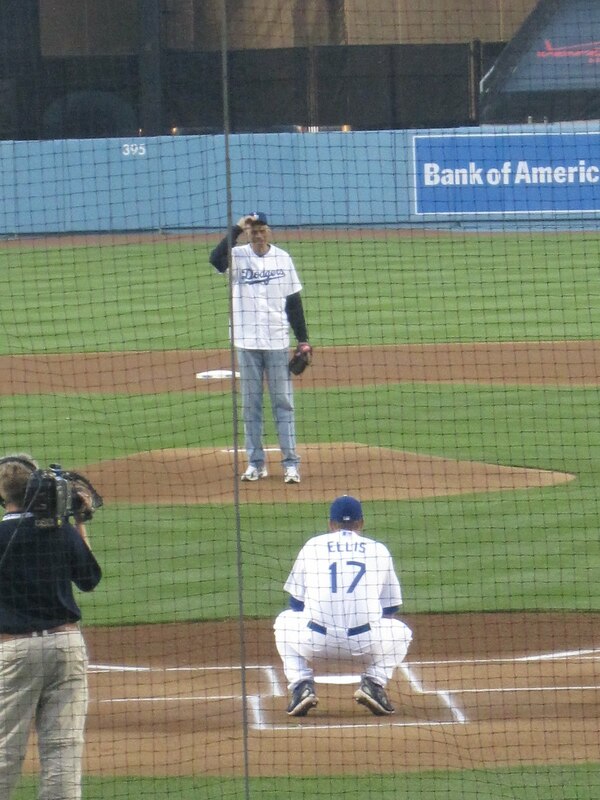 Kareem threw out the first pitch. 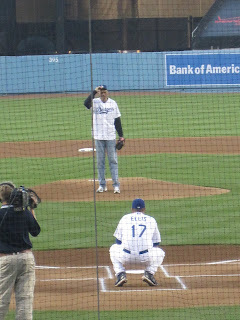 Here's the video that I shot of Kareem's first pitch. You might want to turn your head to the side. 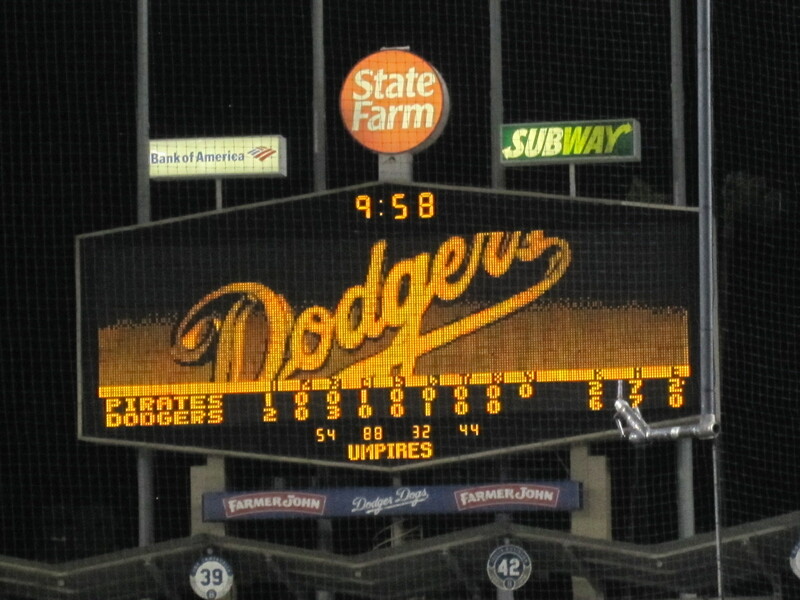 There were homeruns and the Dodgers ended their losing streak. Weather was perfect and the Dodger dogs didn't disappoint! 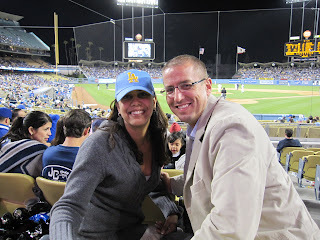 An excellent experience for my 65th venue and a trip to LA... What a great Friday night!